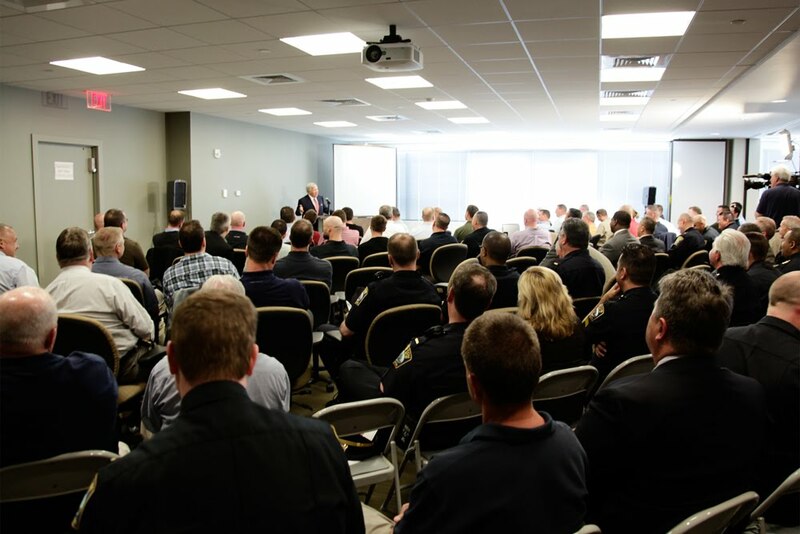 The Carpenters Center today hosted a training session put on by the Boston Police Department for their Sergeants. The Sergeants Advanced Leadership Training (S.A.L.T.) 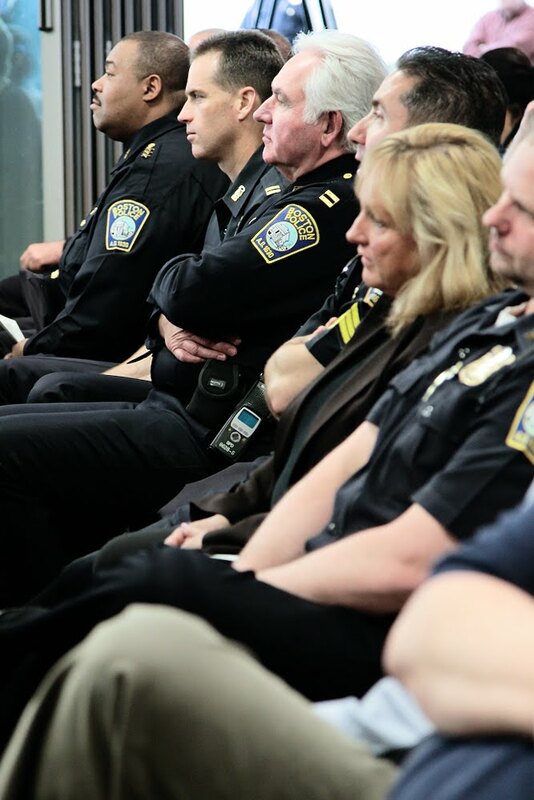 is an initiative of Commissioner Edward Davis and Superintendent Paul F. Joyce, Jr., who is Chief of the Bureau of Professional Development. Four dozen Sergeants took part in classroom sessions in the morning before being joined by Commissioner Davis, Command Staff and Lieutenants for a larger session. 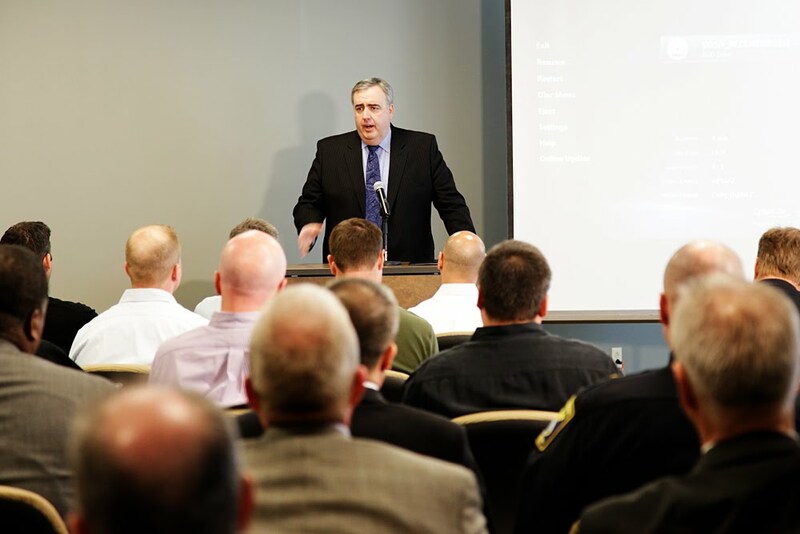 Commissioner Davis spoke the the group about the vital role BPD leaders play in not only routine policing, but stepped up vigilance since the 9/11 attacks and the death of Osama bin Laden. 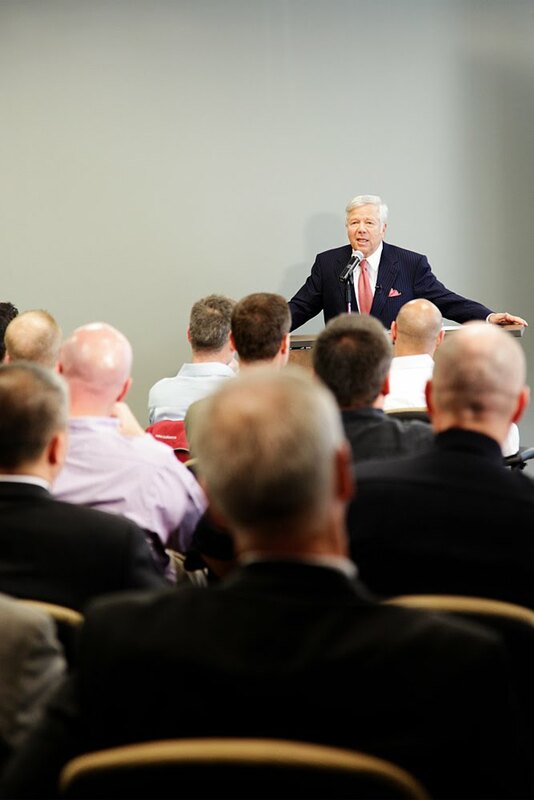 New England Patriots owner Robert Kraft also addressed the group, talking about his business history before and after his purchase of the team.